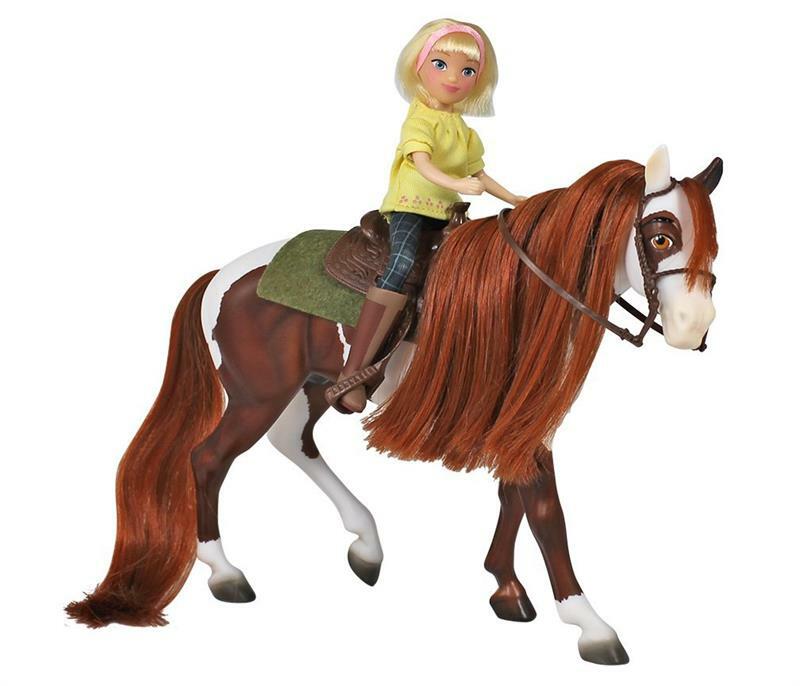 Reenact your favorite scenes from the all-new DreamWorks series Spirit Riding Free with this fun set from the horse experts at Breyer! 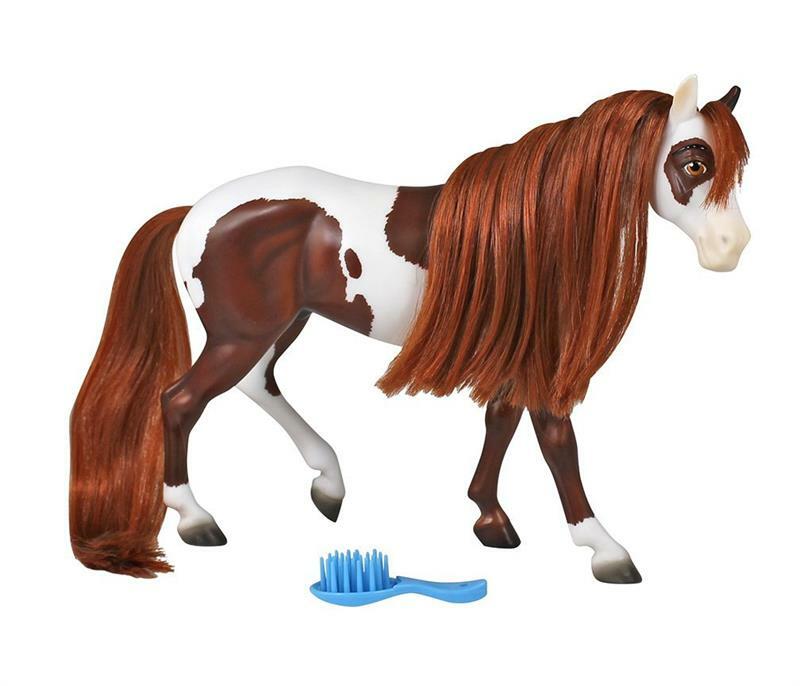 This toy set features Boomerang, a lovely 1:12 scale approx 7" tall pinto horse with a brushable mane and tail. 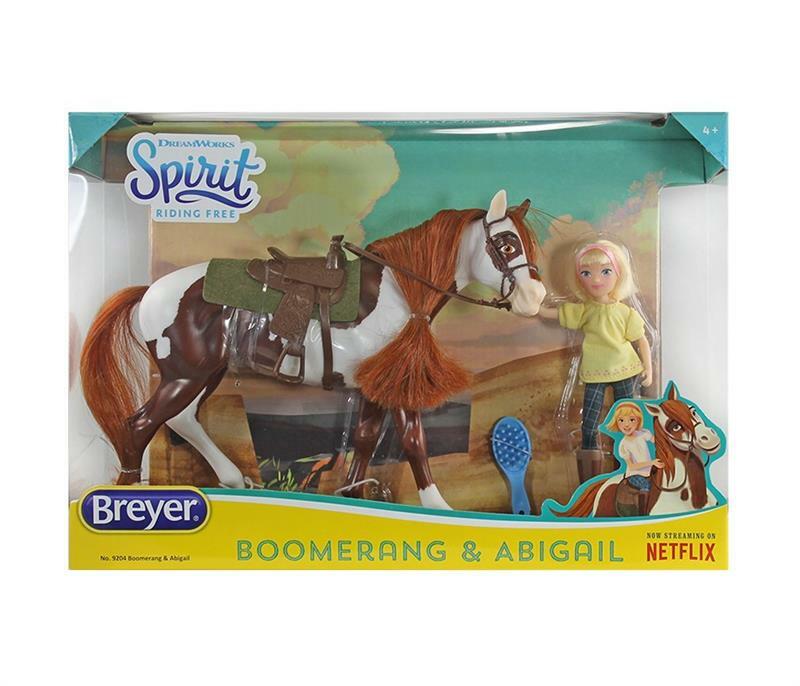 Abigail is fully poseable and stands 5.75" tall, and can ride her beloved horse Boomerang! Included are Boomerang's saddle, bridle, and saddle pad, so all that's needed is your imagination! Also includes a brush so horse lovers can care for Boomerang's lovely mane and tail. Small Set features an approximately 3" tall poseable Abigail doll, and a 4" tall Boomerang. 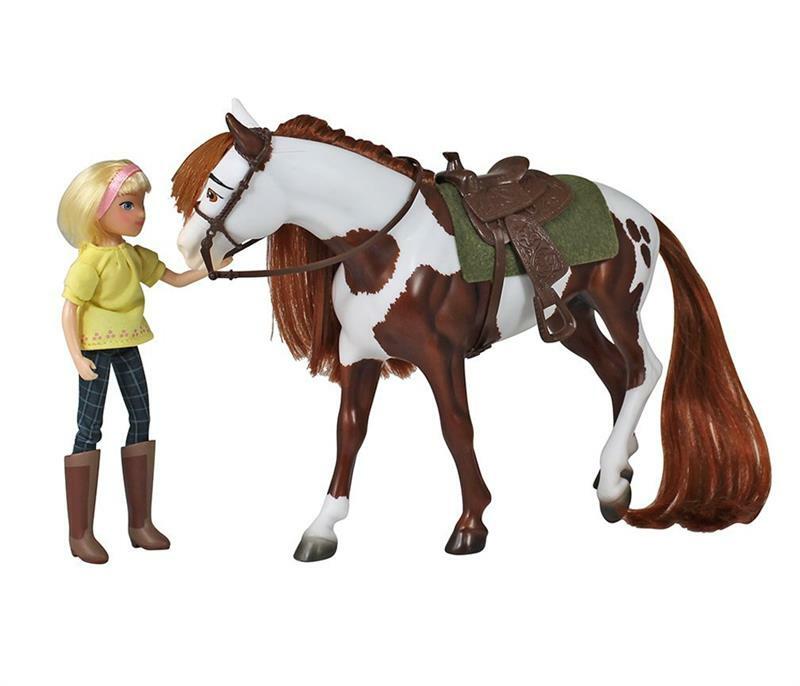 Tack up Boomerang with the included saddle, bridle and saddle pad, and go riding along with Abigail on whatever trail your imagination creates!